Despite having what should have been a plethora of time, the opposite felt true. While this shouldn't be surprising, it can be pretty detrimental, especially when you are doing creative work (like writing a story). You have good days and bad days, sometimes a string of each, but it can be very difficult to be predictable or know what to expect of yourself. It's also challenging to tell whether anything your doing is worthwhile (see: writer's block). Is the story I've been working on for months (and to an extent, years) any good? I'm still not sure, and remain doubtful, but it will be what it will be. And it will be done. Despite some pretty frustrating times, I was able to knock off most of the work I had planned. If you're curious about what that is, I recommend reading my previous blog posts. A lot of what's left is "polish" and other features/improvements you might take for granted when playing other games, especially RPGs. Adding all those tutorials, ability animations, etc. take time. Oh and I went to GDC! This was my third one, and like the others, it was great! 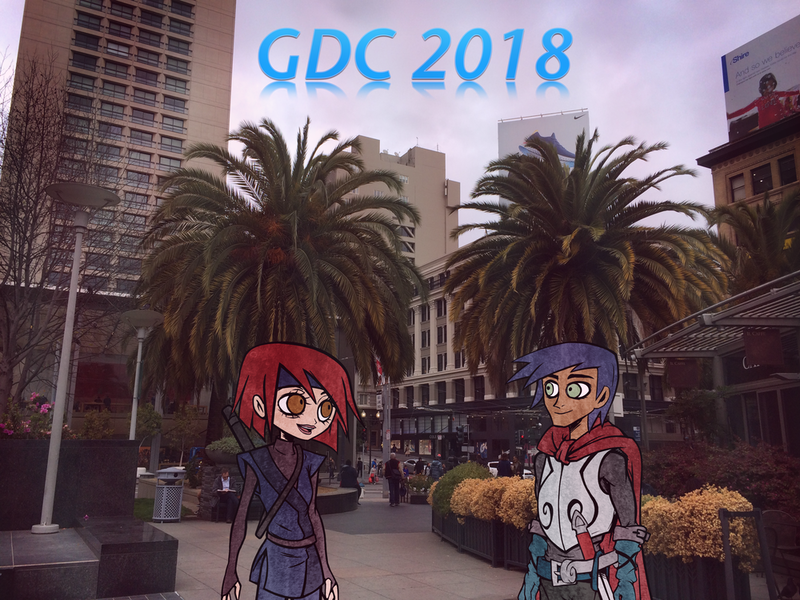 I got to attend some really interesting talks, see some cool tech/games, play Light Fingers, walk around some parties, and get to know my TO GDC friends even better. I hope to be back next year too! I still really need to update this website. Sorry! I've taken some new screenshots and they look way better than my old screenshots, so I'll do my best to get them up here. As far as the actual game goes, there are a few UI improvements that I need to implement, and then mostly just iterating on it over and over while smoothing the rough edges a bit each time. Now I have to go follow up with all those wonderful people I met at GDC! In addition to these blog posts you can stay in the loop with Emergent Fates on Instagram, Twitter, and Facebook. I do my best to share something almost every week, mostly consisting of Christina's beautiful game artwork! If you've been reading all these updates I really appreciate it. Hopefully the game lives up to your expectations!